Trinoma | Badudets Everything Nice! Hey guys, your ramen girl is back! You may have noticed the lack of ramen posts here but that doesn’t mean that I’m no longer a ramen monster. I still get my ramen fix and already tried Ramen Nagi, Mitsuyado Sei-Men, and Hanamaruken Ramen. I promise to write about them and let me start with Hanamaruken Ramen in Trinoma. I think yesterday was our 5th visit in Hanamaruken Ramen in Trinoma. We dined here with our friends on its opening month, the succeeding visits were with my family to have our ramen fix. Hanamaruken Ramen is a franchise from Osaka, Japan. It was created by a family of butchers in 1982. It is a subsidiary of the Arakawa Pork Company, a reputable supplier of high-quality meat in Osaka, Japan. 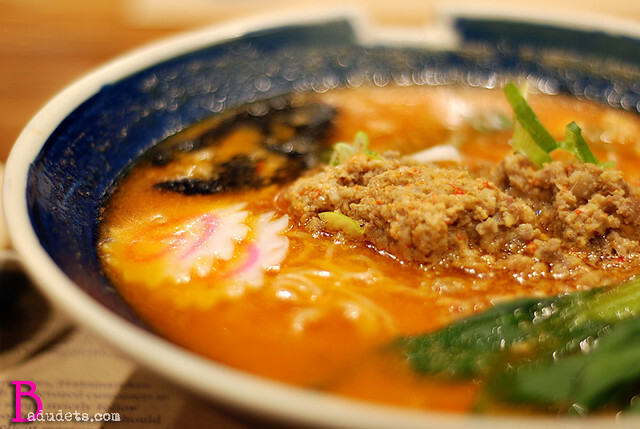 Hence, it not only brings the flavors of Osaka through its ramen but also with its meat. Our usual order: shoyu-based ramen for Jeff, spicy ramen for me, and a rice bowl for Ate Rose. I’ve been seeing a lot of food sellers on Instagram offering Taste N See Toasted Pastillas and Rodillas Yema Cake. I was curious but holding back from ordering online since I don’t want my food to be squished during shipping. 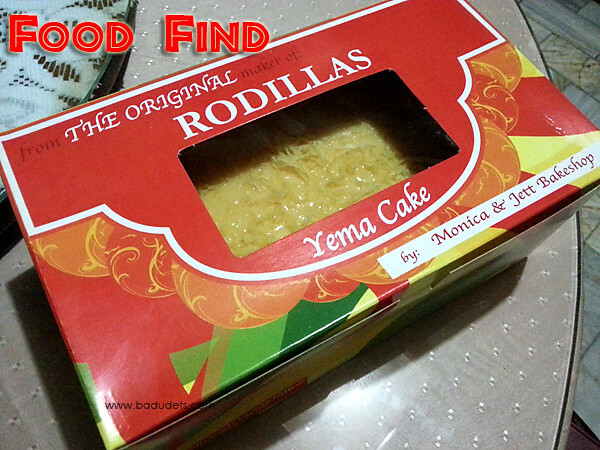 During our visit to Robinsons Magnolia, there was a food bazaar near the food court and I saw one store selling Rodillas Yema Cake. What happens next is me unboxing my yema cake at home. 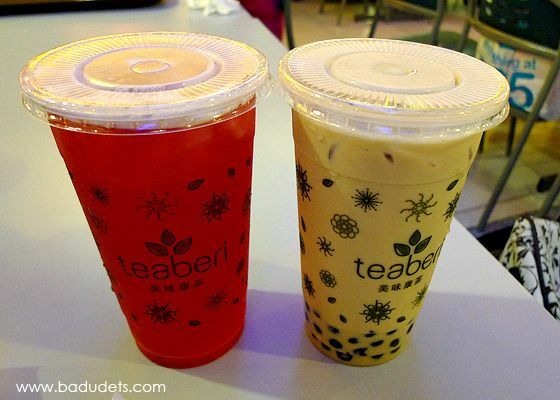 Milk tea craze is still on! One of the new players in the scene is Teaberi. Their first branch is at A. Venue Mall in Makati but I’m happy to report that they now have a branch in Trinoma for all of us milk tea lovers from the North, yey! We’ve been to Conti’s Trinoma branch many times but only for take-out of their famous Mango Bravo and their empanadas and cheese puffs.The first time we dined at Conti’s, we had their bestseller, Baked Salmon, and Chicken ala Kiev. 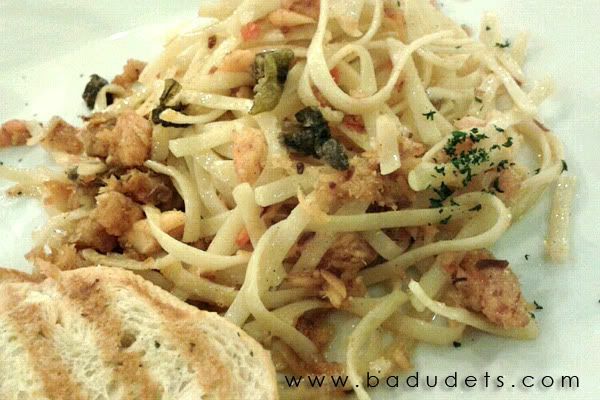 This time, I tried their pasta and Jeff tried one of the pork dishes. We were at The Travel Club at Trinoma yesterday and we’re surprised with the number of luggages inside the store. That’s when we found out that they’re having a Trade-in Sale! Good news for all of us traveholics, time to exchange our luggages with Samsonite ones and travel in style. This promo is from October 11-17, 2010 only. Surrender your old luggage or bags and avail of great discounts (up to 50% off) on brands like Delsey, World Traveller, Eagle Creek, Jansport, Eastpak, Hedgren among others when you trade them in your old luggage or bags. Traded-in items that are still in good condition will be donated to first-time OFWs. Shomal Kebabs and Curries is the new name of Hossein’s restaurant, a restaurant that serves Halal Middle Eastern cuisine. We fancied to try this restaurant after getting used to the taste of Mister Kebab and Grilled Tomato. A little on the expensive side but upon tasting the saffron rice, I then knew the difference between eating at Shomal and the latter two. 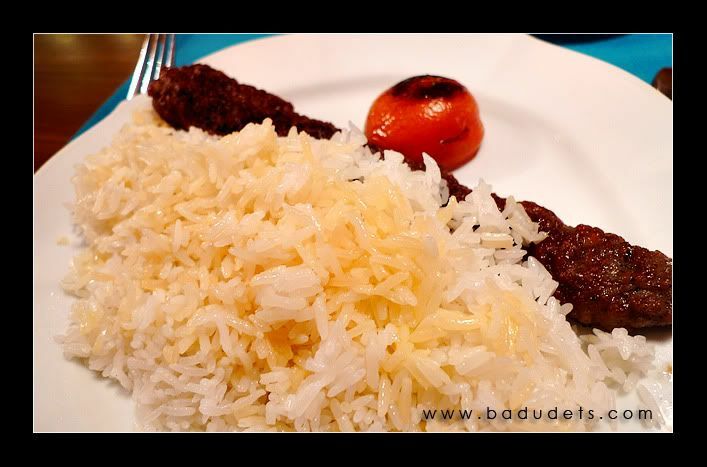 Mister Kebab and Grilled Tomato serve their kebabs with just plain rice and a small dollop of butter. At Shomal, we’re in for a treat. A cold, rainy and windy day deserves a hearty hot bowl of soup. We just had Spicy Beef Noodles from Chowking the other day and this time in Trinoma, we were surprised to see a new resto at the Cinema levels, the Chicken Mami House. It’s between Mexicali and Jamaican Patties so moviegoers won’t miss it. The simple name says it all, MAMI! We ordered their specialty called Binondo Mami which has siomai and lechon macau on it. 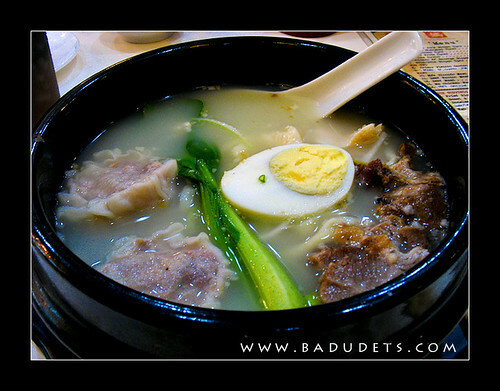 Jeff also ordered Bola-Bola siopao and 5 pcs. and siomai. It’s payday and peeps in the office decided to hit the mall and unwind at Giligan’s. While my husband and other officemates are having their fill at Giligan’s, I decided to have some “me”-time and went to the salon instead. 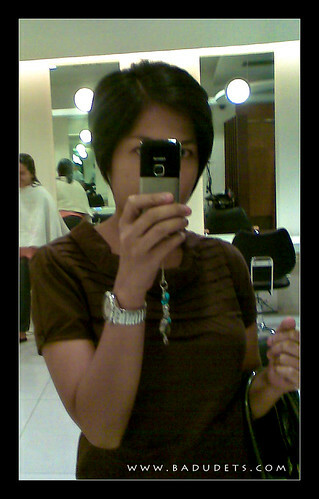 It’s been a while since I had my haircut and my hair had grown long just above my waist. I always go to Bench Fix for my haircut but I decided to give a new salon a try, Acqua Salon looks promising based on the reviews from other forums and blogs.